Tickets for Coachella sell out in an instant. Flights into New Orleans before Mardis Gras are prohibitive, and forget about hotels. No problem -- you can still find parties on this planet that your friends haven't already selfied to exhaustion. Look further afield, around and outside the Americas, and you'll find colorful, raucous parties all over the globe. 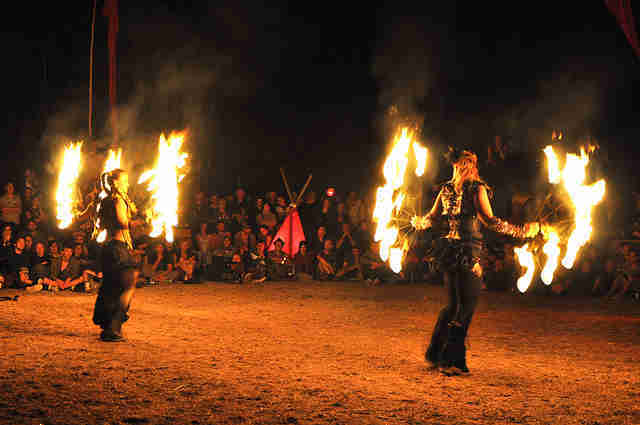 Carnival vibes, electronic music festivals, and spiritually inclined alternatives abound. You may have heard of some of these -- clearly someone has, or else it wouldn't be much of a party. But chances are you're going to catch at least a strain of FOMO reading through these. Time to put some play-hard miles on the passport. 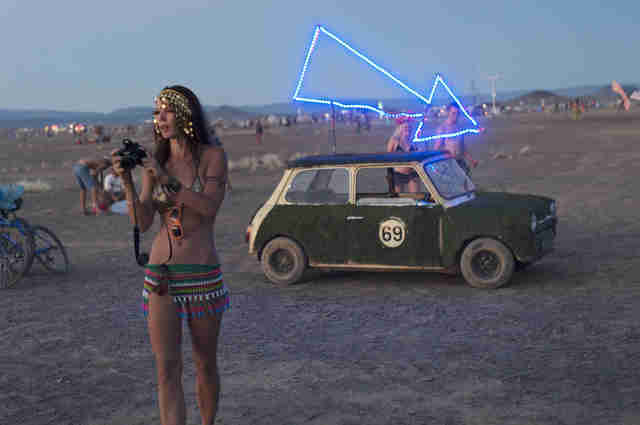 Black Rock City's desert rave is among the growing roster of Burning Man-affiliated burner events popping up worldwide that share the worldly ethos of radical inclusion and creativity. One of the most popular -- with its dramatic landscapes and hallucinogenic installations -- is AfrikaBurn, which every spring lights up South Africa's arid, bird-rich Tankwa Karoo National Park. The week-long not-for-profit festival, which launched in 2007, is an all-inclusive space for artists, musicians, craftspeople, and anyone else who wants to have too-vivid Mad Max: Fury Road flashbacks in an African desert. Formerly Queen's Day, the Dutch national holiday -- known to the locals as Koningsdag -- is the annual celebration of the Royal's birthday. 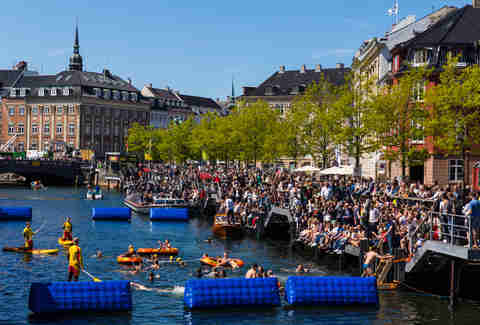 And a royal throwdown it is: festivals, concerts, boat parties, and inner-city beach raves, going up across Amsterdam's canals, streets, and parks. Dress code, you'll notice, is that particular shade of rich tangerine that makes the Dutch easy to spot at World Cup matches. 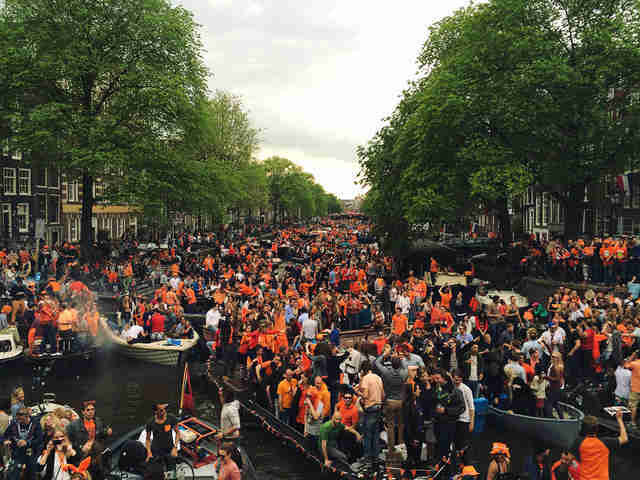 Get to know your inner Dutchman, or just meet a thousand other raucous ones during Amsterdam's most decadent of days (which is really saying something). Arrive early so you can enjoy the event immediately preceding: King's Night. This eight-day spring festival of sacred music brings together ancient and contemporary arts in a landscape of serenity and beauty. 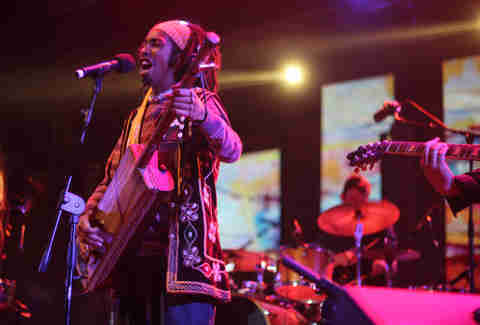 Previous headliners have included Ravi Shankar and Björk, who cap days of local, spiritual Sufi acts. Held throughout various small venues, the festival offers an introduction to the mystical traditions of Sufism and dervish dancing. It's a colorful, rejuvenating getaway that calls for your undivided attention. This annual arts and music blowout lands each year at a former Russian air force base in Northern Germany, replete with a runway and grass-covered aircraft hangars that offer a post-industrial Teletubbies feel. It aims to embody "holy communism," creating an environment of transformative creativity outside one's daily rhythm of life. Its programming, stage design, and aggressively artistic vibe have earned it comparisons to Glastonbury and Burning Man, but it needs no analogue: it's one of Germany's most popular festivals, despite famously keeping its lineup a secret until the event. This citywide festival casts Copenhagen into a week-long binge of Danish music, with street culture and nightlife colliding with alternative communities and young folk. 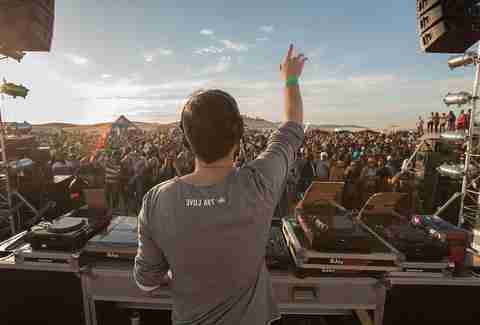 It's a carnival of electronic music swagger, culminating in a big knees-up in the city's harbor at the weekend's end. Highlighting some of Europe's more popular underground acts, this open-to-all event is a great opportunity to fraternize with friendly local youth to discover some of the city's best hangouts. 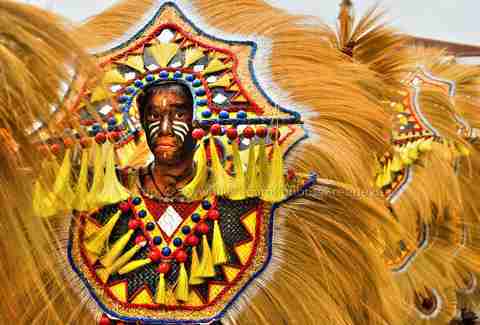 This is the Filipino Mardi Gras, where the locals carve out a festive parade on the island of Aklan, with rainbow-colored indigenous costumes and frenetic dance performances. The festival honors an age-old tradition in which the local mountain-dwelling tribe -- the Atis -- came down to ask the lowlanders -- the Kalimantan, who had arrived from Borneo -- for food during periods of bad harvest. As a means of thanks, the Atis would paint their faces and perform ritualized dances. The tradition has lasted hundreds of years, incorporating various Catholic elements since the arrival of the Spanish in the 1500s. If you like Carnival and love spectacle, put this on your list beside New Orleans and Rio de Janeiro. 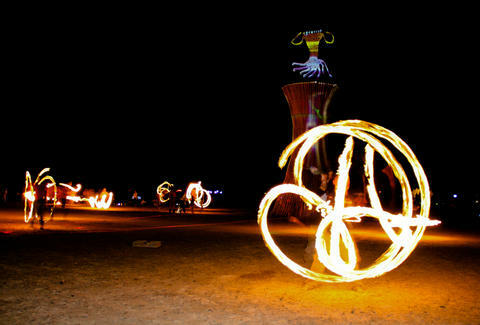 This is your chill, outdoorsy alternative to urban celebrations, desert raves, and bombastic religious carnivals. 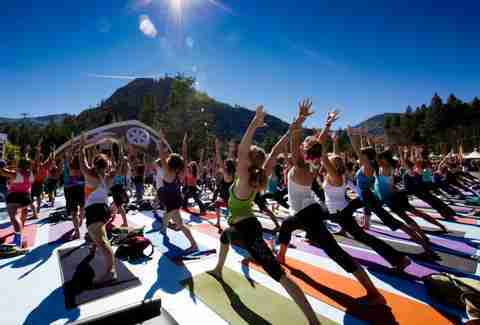 Lake Tahoe's latest festival features music, yoga, paddleboarding, and pool parties set in the profoundly Instagrammable Squaw Valley. After you've camped under the stars, back-stroked around Lake Tahoe, and gorged mindfully on natural food, you may start to ask yourself what all the fuss about Coachella was. 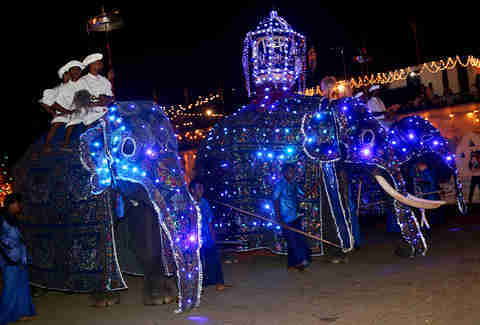 A visual treat and a delight for the senses, Esala Perahera is a 10-day festival of processions, fire dancing, and acrobatics in central Sri Lanka. It's overwhelming for the eyes, as well as the nose -- you'll be bombarded by a rich range of incenses. The festival honors the sacred relic of the tooth of Buddha, supposedly smuggled out of India to this island nation more than 400 years ago. Immerse yourself in this visual feast, as elephants, dancers, singers, and drummers create one of the world's great religious parties. Set in the Sahara desert in the old sets George Lucas built to film the original Star Wars, this unique and ambitious rave puts modern electronic music in a serene, yet foreboding environment, while a predominantly French contingent -- dressed up as Jedis and Sith Lords -- dances through the weekend. It's little surprise that Les Dunes Electroniques creates an otherworldly feel, given that it began life as Tatooine, but the dunes, deserts, and sunsets, all soundtracked by leading electronic music talent, truly will have you looking around for a second sun. Alas, safety concerns led to the cancellation of the 2016 party, but here's looking ahead, in true Star Wars fashion, to future installments. Dan Cole, the Berlin-based music guru and content creator, went missing around 2006 and is still trying to find himself. Information on his whereabouts can be found on Twitter and Instagram.